Attending snowboard camps is a great way to improve your riding fast. Spending a a few hours, a day, or even a week with the undevided attention of some of the best coaches around will take your riding to a level that you may not think is possible. Not only that, you will have more fun than you have done for a while and meet some great people while you are at it. To find out more about the companies below we sent them a bunch of questions for them to answer. To find out if they are the camp for you then take loook at what they had to say. 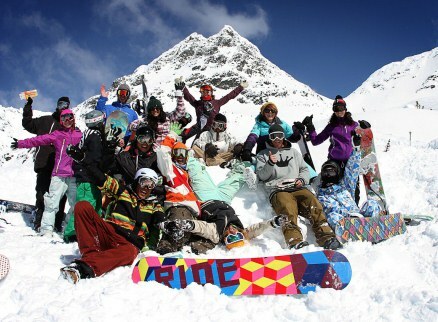 Dedicated snowboard camps come in many different shapes and sizes. Whether you love powder, backcountry riding or freestyle and park you will be able to find a camp for you. "What a great way to improve as a rider"
After making your own way to your chosen resort you will spend the week with a bunch of like minded riders who are all there for the same reason:- to have as much fun as possible whilst improving their technique and riding skills. You will have access to some of the top coaches around. Not just for an hour or two as you do when you pay for a normal lesson in the mountains but for the whole week. Normally for a minimum of 6 hours a day. Depending on camp size you may be joined on the mountain by more than one quality coach. Camp companies pride themselves at getting the balance right and ensuring you get enough time with a coach so	you get what you expect from the week and improve. Afterall, if you do not get better at riding and have fun whilst doing so you will not reccommend their camp or come back next year. It really is important to them that you get what you want and deliver a week beyond your expectations. Obviously this will differ from camp to camp. Usually you stay in a dedicated shared chalet kitted out to make sure you have everything you need for a great week. Rooms will often be twin so campers travelling alone can share. Staying in close quarters like this you will get to know the other riders quickly. You are riding with them all day and if the camp is full board like most of them are then you will sit down and eat with them in the evening. You will talk about the day, watch any instructional videos that were made and laugh at each others stupid falls. You'll share a beer and get excited for the next day on the mountain. If you like to party you will go out for drinks and sample the local nightlife with your new found friends. Don't go too hard though or the campers that stayed in will laugh when you are wretching on the chair lift in the morning. what level of riding should you have? diferent camps cater for different skill levels. Most are aimed at the intermediate or advanced rider but there are beginner camps around too. Riders who want to get the most out of a camp should be able to stop easily, link their turns and manage most pistes on the mountain without too much trouble. Call the camp organisers to make sure you are going to get what you expect. Check they cater for your level of riding and skill before you book anything up. "diferent camps cater for different skill levels but most are aimed at the intermediate rider"
depending on what camp you choose you can go and improve any aspect of your riding that you want. Some will even tailor a course for you and your mates. These will cost a bit more but will be well worth the money. On these snowboard camps you will learn everything to make you more confident in the backcountry. From powder riding technique to mountain safety and how to pick the right line. a great choice if you love exploring and getting off the beaten track into the wilderness for some fresh. 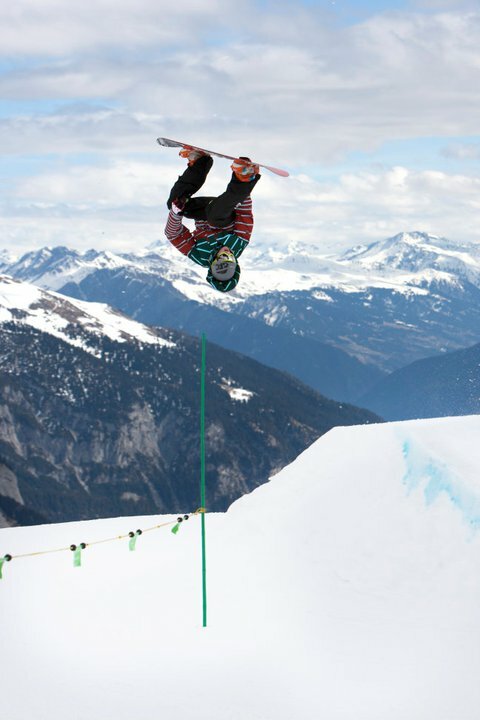 If you love everything about park riding then you need to go on one of these snowboard camps. You'll start off small, perfect your technique and then move onto bigger and more challenging features. Under the watchful eye of your coaches you will be spinning off kickers and hitting rails in no time. Some of these freestly camps will give you trampouline training to give you spacial awareness in the air helping speed up your improvement. If you want to leave the rat-race and become a snowbaord instructor you can go and take an intensive course. They are longer and more expensive than a normal camp because you cover so much but if that is the way you want to take your life they cannot be beaten. teaching criteria differs between coutries and continents so make sure the camp you choose offers the right qualification for where it is you want to end up working. Often slightly more than a normal week away in the mountains but for the extra cash you really do get more coaching than if you were to have to pay for it seperately. Some camp prices include the lift pass and give you full board accommodation too. Overall good value for money for a week you will not forget. "If you get a chance go on a snowbaording camp at least once." A friend and I went on one of the summer snowboard camps in the French alps a few years ago and although we had to get up early to get on the glacier and could only ride until just past lunch, we really did learn a lot from the coaches and our riding stepped up a notch. Afternoons were spent chilling in the sun with our fellow camp mates or beating the guys who worked for the camp at pool. As a chalet we even won the local football tournament that was organised for that week. If you get a chance I really would reccommend you go on a snowbaording camp at least once. Your riding will improve loads, you'll have fun and you might even make some life long friends. Give one a go. 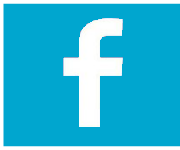 JOIN THE CONVERSATION - HAVE YOU EVER BEEN ON A CAMP? Back to "Snowboarding home" from "Snowboard camps"
Back to "Snowboarding basics" from "Snowboard camps"